A dynamic and innovative composer, bandleader and trumpeter, Bill Warfield has energized audiences, performers and writers for more than four decades. Warfield’s most recent accomplishments are Mercy, Mercy, Mercy recorded on the BluJazz label by the Hell’s Kitchen Funk Orchestra in 2015 and Trumpet Story with Randy Brecker on Planet Arts Records, recorded in 2014. These recordings are a celebration of the composer’s formative musical experiences. The two groups perform Jazz selections based on the genres of funk, Latin Jazz, and Hard Bop, all arranged by Warfield. Bill Warfield holds an M.M. in Jazz Commercial Trumpet Performance from the Manhattan School of Music where he received the William H. Borden Award for Outstanding Accomplishment in Jazz/Commercial Music, The Carmine Caruso Award for Outstanding Musicality and Trumpet Performance and the Maynard Ferguson Scholarship. In 1990 he participated in the BMI Jazz Composers Workshop, directed by Bob Brookmeyer and Manny Albam. 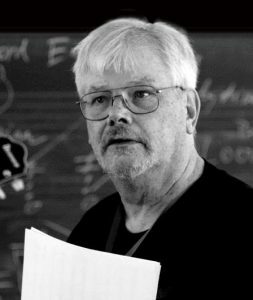 Teaching is an important part of Bill’s life, and in 1996, he traded part time positions at the Dalton School in New York, Brooklyn College, and Towson University for his first full time position at the University of North Florida, where he met and worked with alto saxophonist Bunky Greene. After a year at UNF, Bill accepted his current position at Lehigh University, where he teaches and directs the Jazz program. In addition to Mercy Mercy Mercy, and Trumpet Story, his recent work also includes collaborations with Jazz/Funk/Blues vocalist Nicole Henry. In addition to his professional schedule, Bill directs the New York Jazz Repertory Ensemble, The New York Jazz Octet and the Hell’s Kitchen Funk Orchestra. He appears regularly at Iridium, Dizzy’s Jazz Club in NYC, The Garage and many other clubs in the greater New York area. He frequently performs and teaches in Europe in addition to writing commissioned works for various conservatories and radio orchestra around the world.